It’s such an easy go-to to grab with your coffee in the morning, I wanted to make something more nutrient dense so that you can enjoy it and know you are nourishing your body at the same time. Seriously when this is in the oven, the smell of fresh baked banana bread will take over your house and you will be in heeeeeeaven. There is nothing quite like the smell of fresh baked goods to put a smile on your dial! This recipe is grain free (aka paleo friendly!) it isnt high carb, and the sweetness comes directly from the bananas… winning!! Honey is optional so totally up to you! 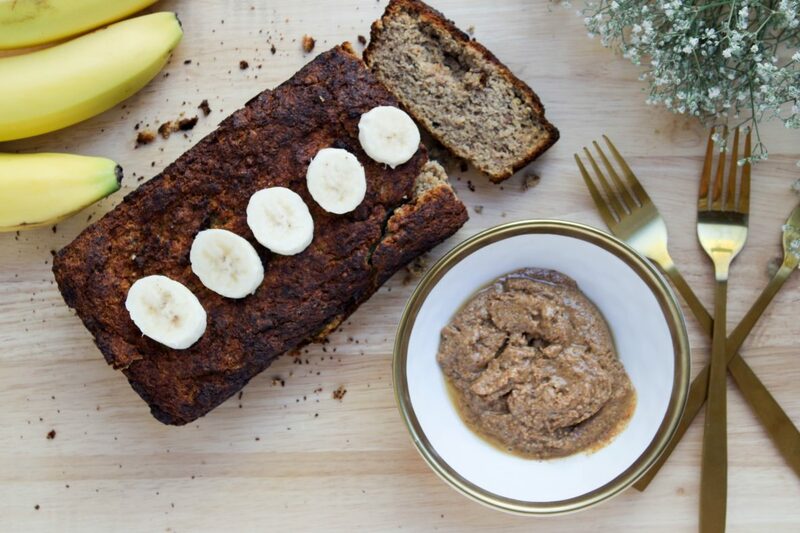 GO BANANAS AND WHIP IT UP! Grease a bread loaf pan with coconut oil and line with baking paper. In one bowl, mash bananas. In another bowl use a hand mixer to combine honey and avocado oil. Then add each egg one at a time, mixing together. Finally mix the mashed Banana through. In another larger bowl mix all dry ingredients sift flour, LSA baking soda, nutmeg, salt, cinnamon. Combine well to create a batter texture. Pour into your greased and lined pan. Bake for 30-40 mins. If it looks like its burning on top, cover with foil and place back in oven for remaining time. Slice and serve with a spread of coconut oil, grass-fed butter, peanut butter, almond butter, jam… the possibilities are endless!